Need a little nudge to get you going? This page will help. Have a heart-warming story to share? This is the place to do it. Over the years, we've heard success stories that would bring a tear to almost anyone's eye. They are absolutely incredible. Their power comes from the fact they have made a positive change in the lives of other families. 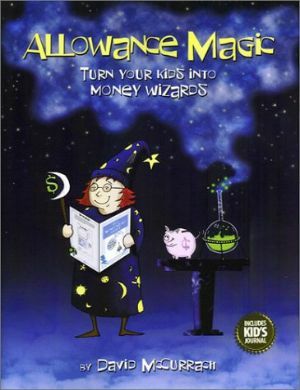 Tell us how Allowance Magic has affected you and your children. How has it changed the financial relationship between you and your children? What new habits and traits have your kids developed? How has it improved your life? Your success could be another families motivation. Please take a minute to make a difference in someone else's life. Send us your "Success Stories." We'll post them to this page for all to read and benefit from. Enter your Allowance Magic Success Story in the box provided below. When you're finished simply click on the Submit button. To clear your entry, click on the Reset button and you can start all over. Your information comes to us anonymously. We do not know your name, your email address or any other identifying information. By submitting your information, you are giving us your implied permission to display it on this portion of the Allowance Magic website. Please note: After you have submitted your Success Story, simply select "Back" on your Web browser to return to Allowance Magic. My step-son and I went to the horse races the other day, with a bunch of our neighbors and their kids. Everyone wanted a lot of candy, ice cream, etc. I gave my step-son a $5 allowance for the trip, and told him he could buy whatever he wanted with HIS money and all of a sudden he didn't want all of those things anymore and wanted to save his money for later.